I really couldn’t be happier with the service All around moving and storage group provided. They didn’t cut corners and showed an amazing commitment from the moment I first spoke to them via phone. I got all answers and explanations I needed. 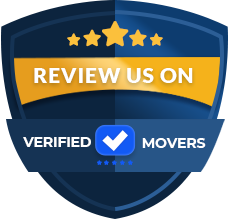 The movers were very skillful and experienced and the move went smoothly. Somehow I was confident that they were going to take care of the entire move professionally. I will be referring them to all my friends who are looking to get reasonably priced moving services. They are the best movers I’ve ever dealt with. Just keep up the good work! All around moving and storage did an awesome job. They were very polite, friendly and professional above all. They planned the entire move thoroughly, explained everything to me and accomplished each task according to plan. Household moves are stressful, but they made it seem so smooth. They did their best to turn my move into an enjoyable experience and also took away a great deal of stress. I will be eternally grateful to All around moving and storage guys for making my household relocation a breeze. I will be referring them to everyone who wants quality and affordable moving services. All around moving and storage managed to handle my complicated move successfully. I needed to move from my condo to a new house, but I also needed a temporary lodging for me and my belongings in between. They managed to coordinate all those activities and I was surprised how efficient they were. The first crew moved our items to the storage facility. And when my new home was ready, I contacted them again to have my items moved. There was a lot to do and they worked so hard do complete each task on time. While I was unpacking I didn’t notice any broken object. Highly recommended professionals! 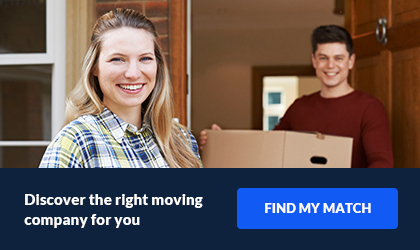 I’m very pleased with the service provided by All Around Moving & Storage. My friend used their services 5 months ago, so I had no doubts about which moving company to hire. To be honest, I didn’t even have the time to do further research, as I had to plan the entire move in 2 weeks. I got an excellent price and I didn’t need to lift a finger, they did all the packing and heavy lifting. Thanks to them I was able to look after my kids personally as they became very upset on moving day. I will most certainly recommend these guys to everyone I know. All Around Moving & Storage was good, for the most part. There are a few aspects of the move that I wish went differently, but really nothing too bad that I could not overlook. I chose this company to move my home goods in March. My pickup time frame was between 2-4 and they didn't arrive till 6. The driver's apologized, and finished still within my pickup window. That was the only issue throughout my move. My items were delivered in good condition, and I would recommend this company to family and friends. I hired All around moving & storage because I was interested in getting packing services as well. I needed to move out on short notice and couldn’t manage all moving tasks on my own. My first impression was they were polite and professional, because we had a great communication during the period leading up to moving day. However, when I was unpacking I realized they didn’t label my boxes properly. So I needed to open up several boxes to find what I was looking for. I’ve ended up with an average packing service, but at least nothing got lost or damaged. 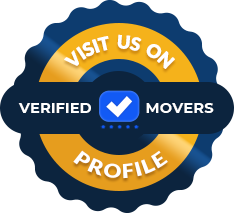 I called All Around Moving & Storage for a quote after speaking with a few other companies and really liked the representative I spoke to you about my move. He was professional and took the time to fully explain the breakdown of the charges as well as what I should expect moving forward. They were fairly priced and offered packing services for almost every item on my list. They went over everything multiple times to make sure they had the information before the day of pickup. I was able to request a time frame so I could arrange an elevator with my building which they were able to accommodate. The guys that arrived to complete pickup were just as professional and polite. I was contacted throughout the transit of my items and the day before the delivery. They ended up getting delayed by 2 days which I was provided a discount for the inconvenience. I am very happy with the overall experience with this company. All Around Moving & Storage has been a trusted brand in the moving industry for over thirty-one years. They are A+ accredited through Better Business Bureau, or the BBB. They are licensed, insured and bonded. All employees go through extensive training to ensure that they can best assist you with your needs. They will be able to answer any and all questions that you have, so ask away! All Around Moving strives to be the best that they can be. They provide trustworthy, reliable and professional moves of all types. Offering residential local and long distance moves, as well as commercial. They provide a custom approach to every ones move. Everyone is different and they try and gear toward each individual, so everyone is comfortable. The prices are unbeatable and very competitive. It is important to this company that they do not break customer's banks for a necessary move. They truly want to set themselves apart from others in the industry to actually help their customers. All Around Moving & Storage also has storage options available for short or long term needs. If you are not ready for delivery just yet, you might want to strongly consider this option. It is useful if your new home or office is not ready just yet or if you are downsizing and do not have enough room. Speak to your coordinator so that they can help you decide which option is best for you! Give them a call today, you will be glad that you did. They will provide you a free and no obligation quote for your relocation!